Tiger Woods bounced back from defeat to Padraig Harrington to win the Grand Slam of Golf for the seventh time. 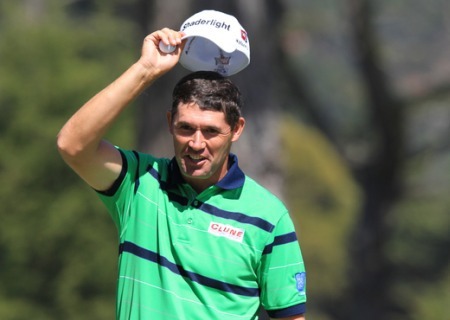 The world No1 - beaten by Harrington in a play-off for the Dunlop Phoenix Tournament in Japan at the weekend - carded a second round 66 to edge out Jim Furyk by two shots at Poipu Bay in Hawaii. World No 2 Furyk led Woods by three shots after the first round but had to settle for second best as the game's top player hit six birdies in an immaculate final round. Woods finished on eight under par to win the event for the seventh time in nine attempts with US Open winner Geoff Ogilvy six adrift after a closing 74. Canadian left-hander Mike Weir also had a 74 to finish last on over over par. Woods, who earned $500,000 for the win, said: "I certainly played better than I did yesterday. I've always loved coming here." Phil Mickelson has turned down the chance to take on Padraig Harrington in October's PGA Grand Slam of Golf in Bermuda. Padraig Harrington headed into last night’s PGA Grand Slam of Golf with one eye on next year’s Masters title. Ireland’s three-time Major winner was on the trail of a pink jacket awarded to the winner in Bermuda, where he took on Trevor Immelman, Retief Goosen and Jim Furyk in the first round of a 36-hole challenge. 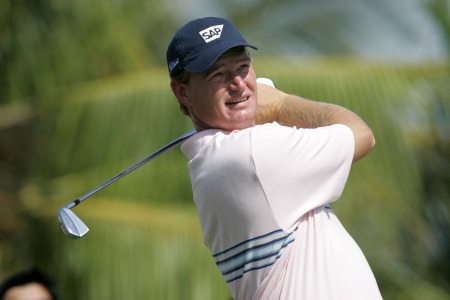 South Africa’s Ernie Els came from three behind with five holes to play to capture the 28th PGA Grand Slam of Golf at Port Royal Golf Course in Bermuda. Rory McIlroy is on course to become the youngest winner of the PGA Grand Slam of Golf. Picture Fran Caffrey/www.golffile.ie.Rory McIlroy might be on the verge of replacing Tiger Woods as the youngest winner of the Grand Slam of Golf but Darren Clarke has other things on his mind.